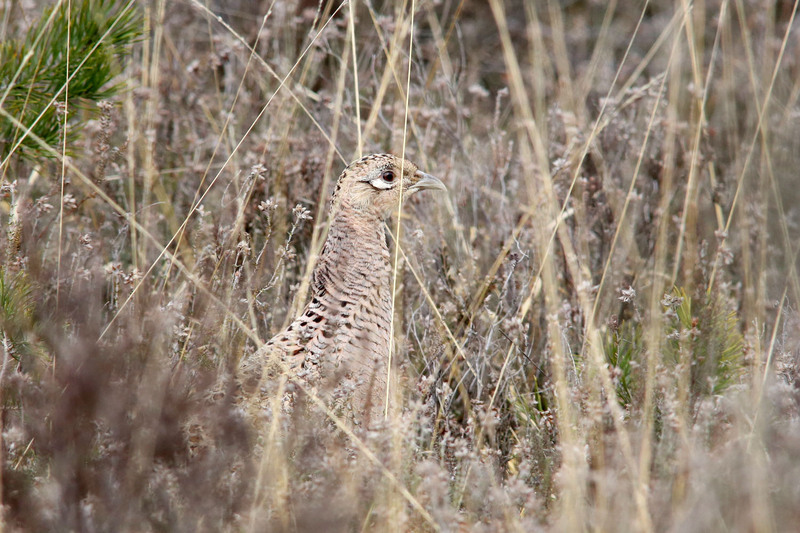 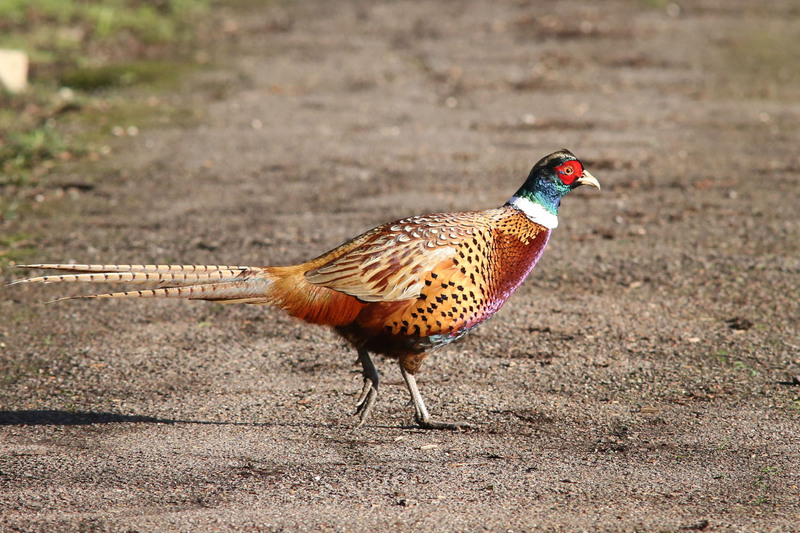 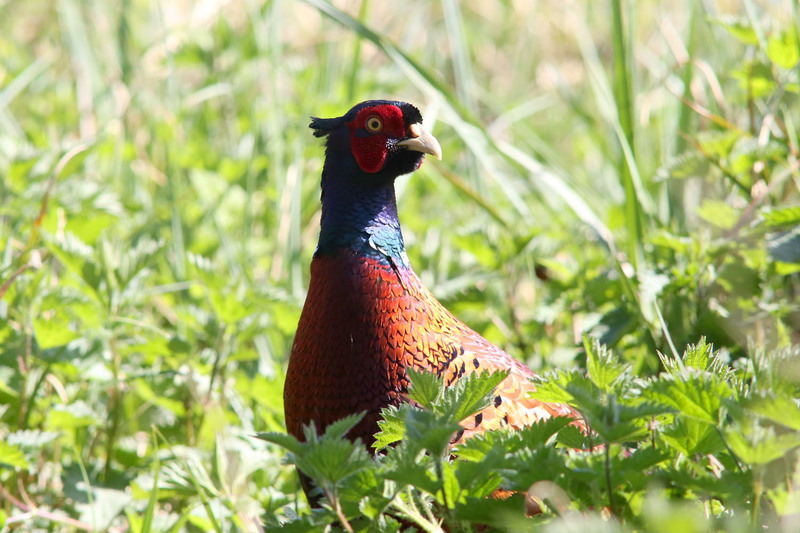 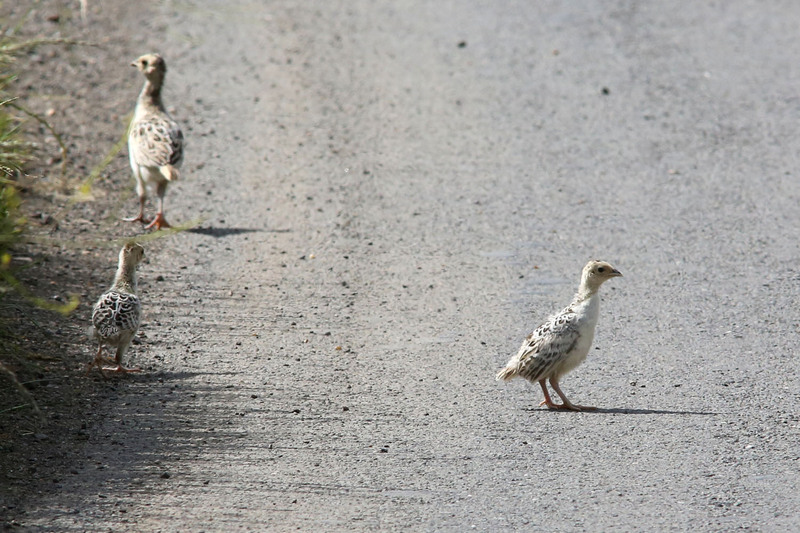 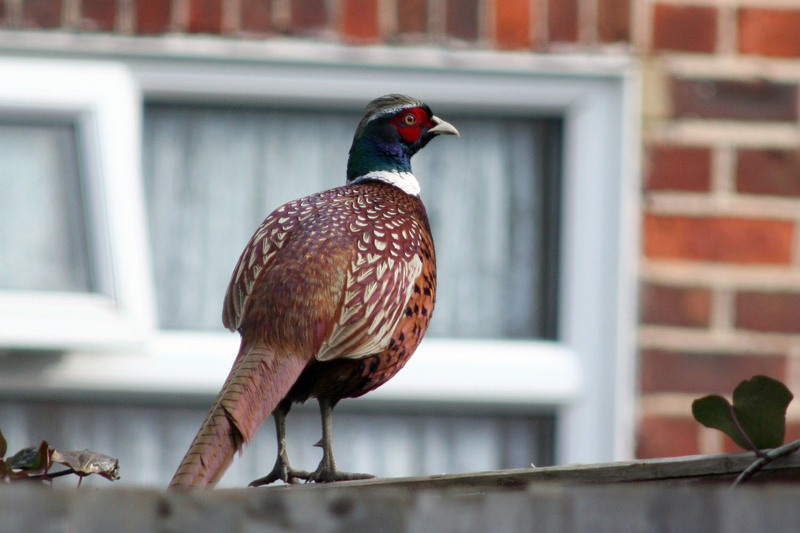 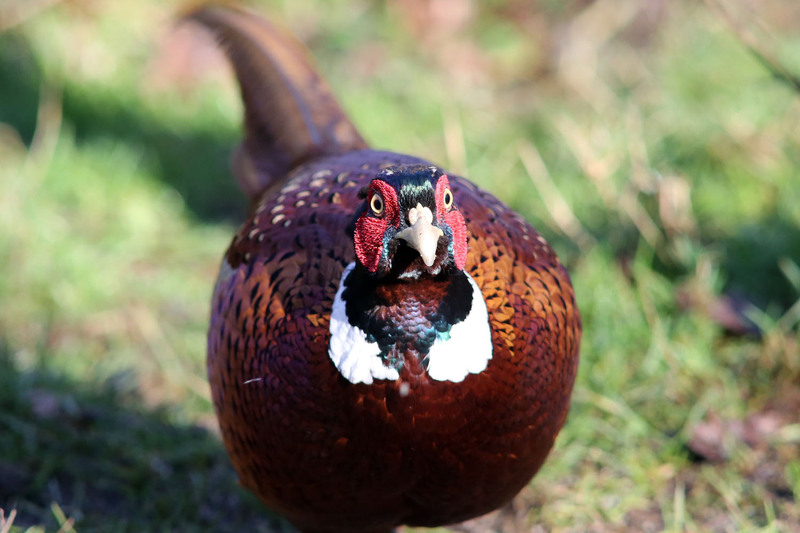 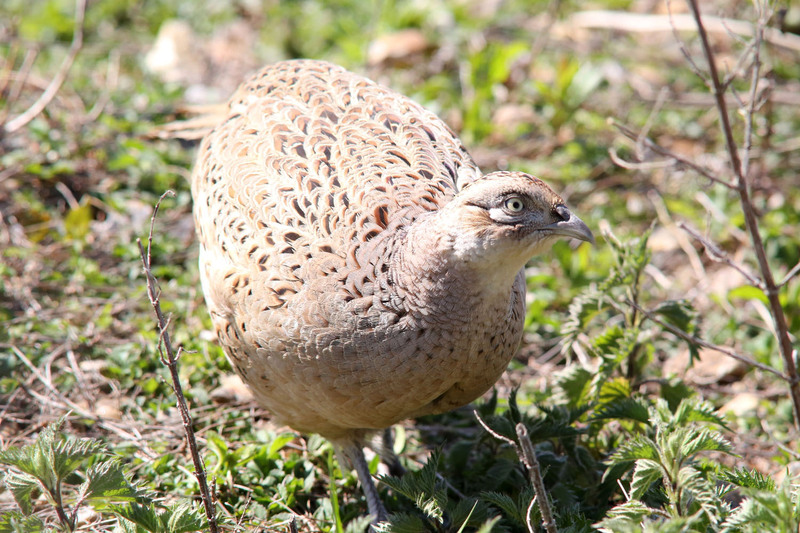 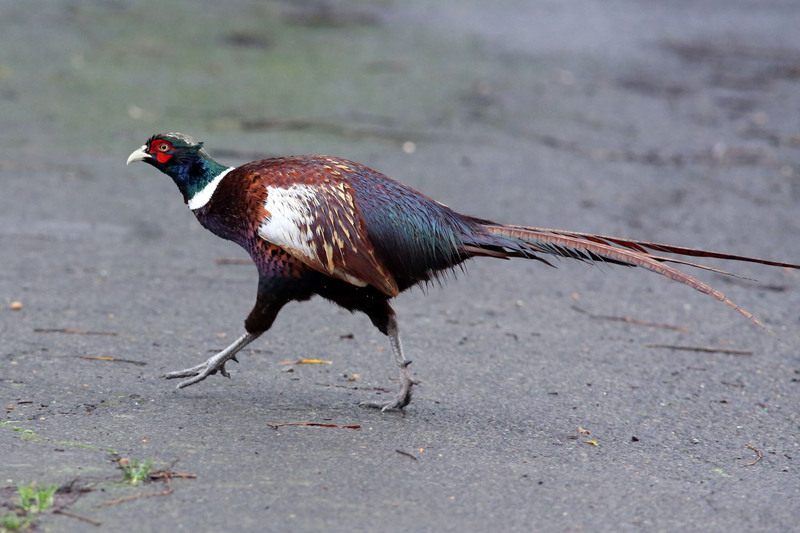 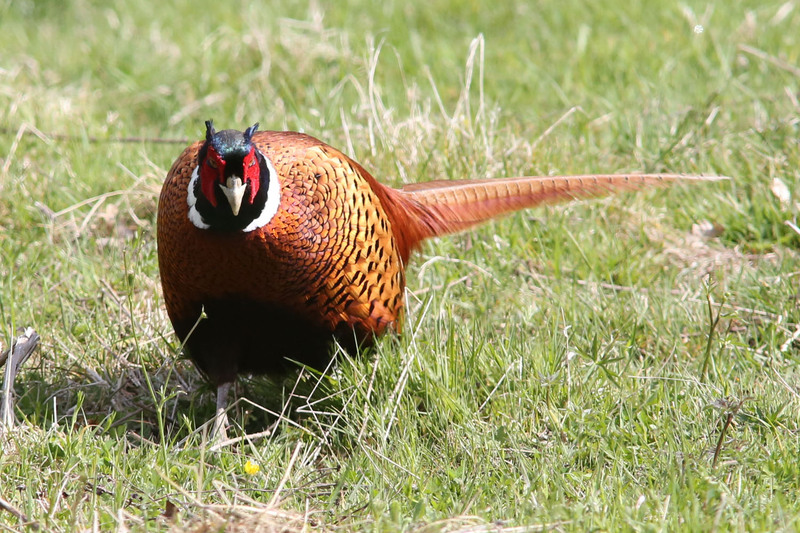 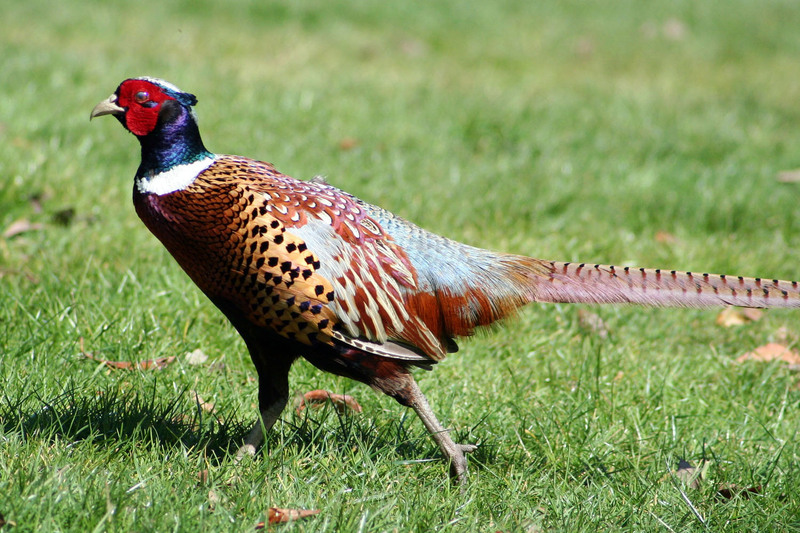 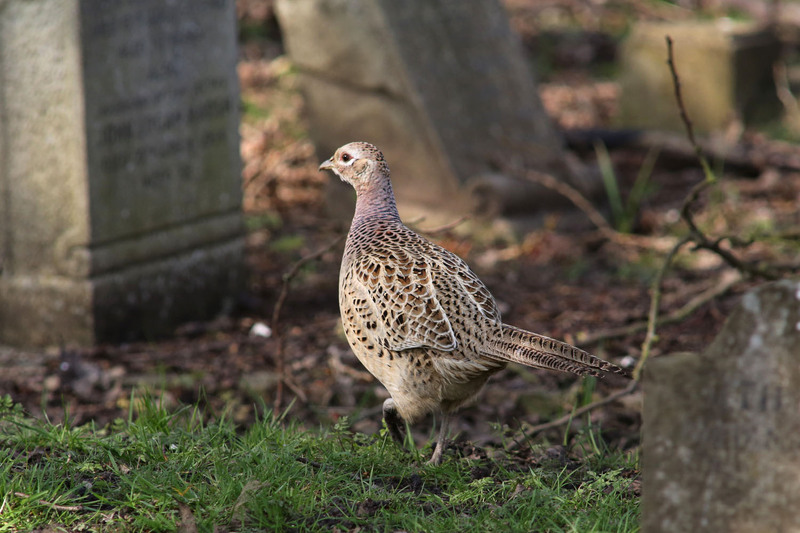 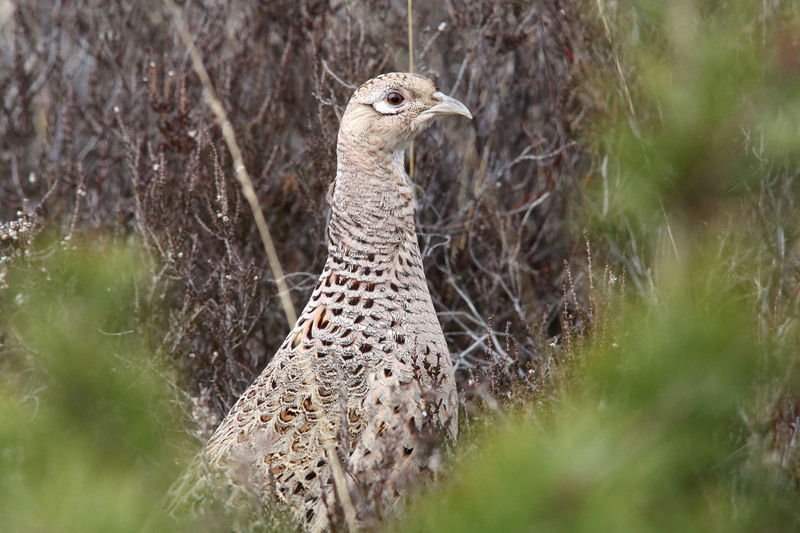 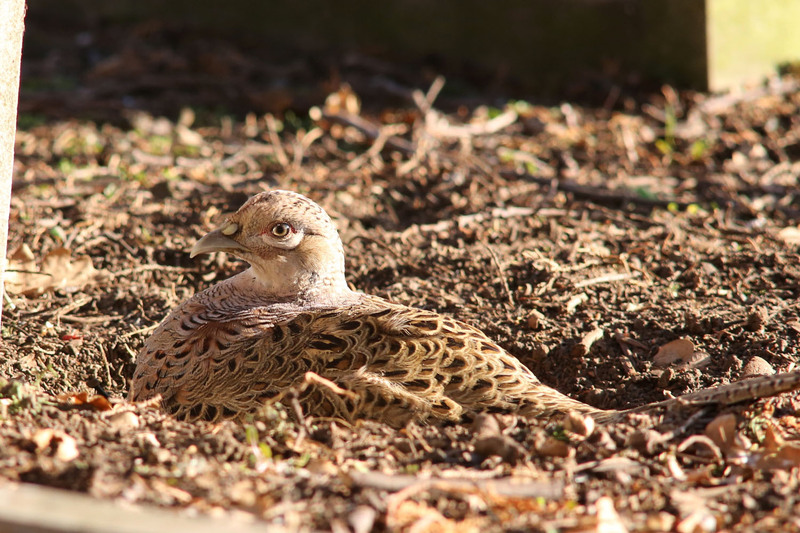 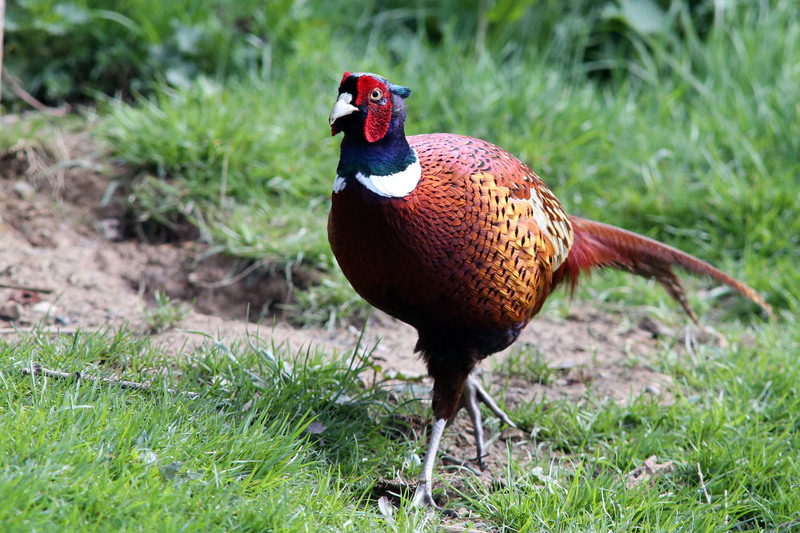 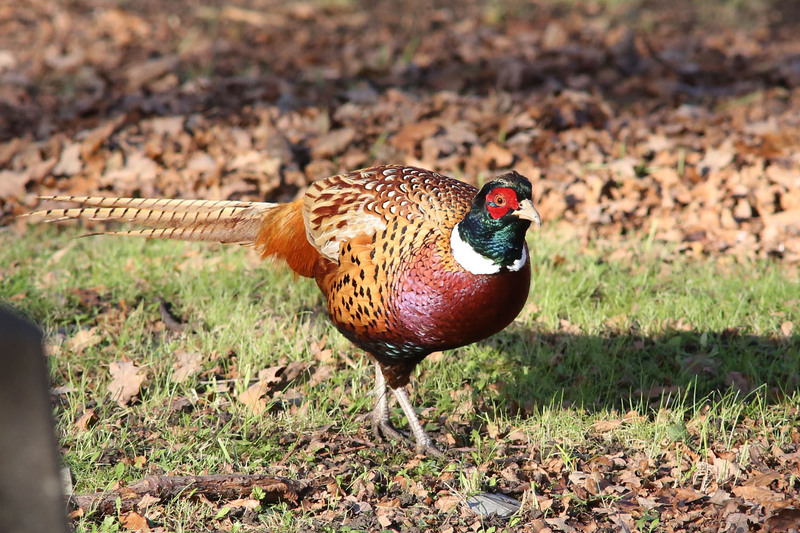 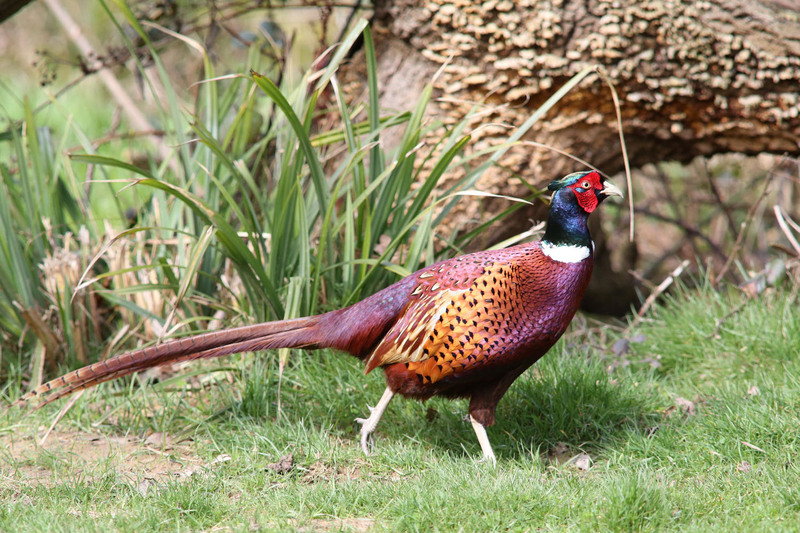 The Pheasant is an introduced species (as a game bird) originally from China. 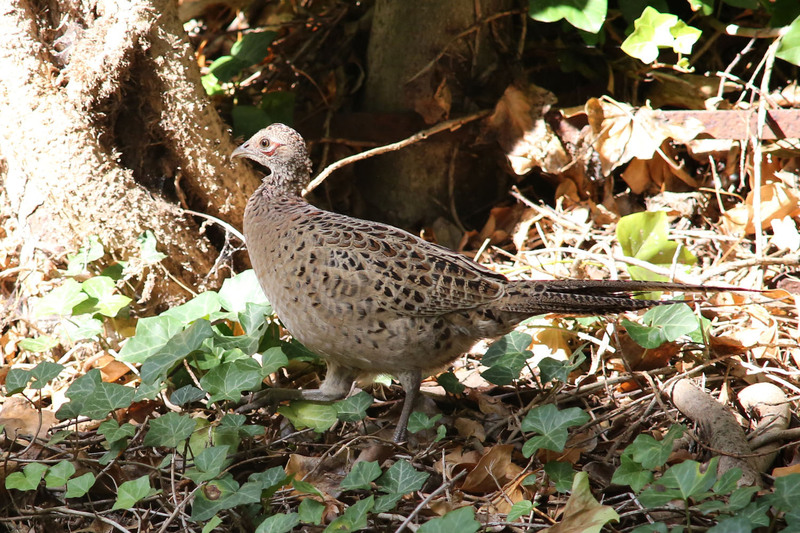 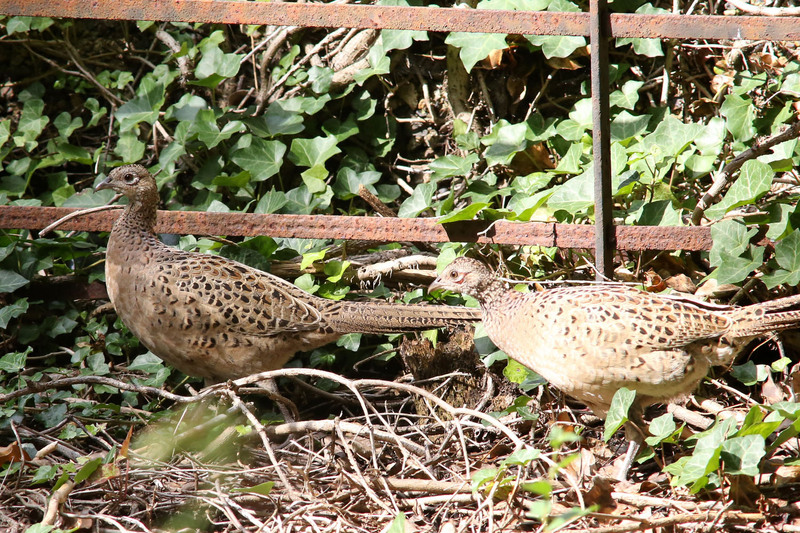 Although they prefer farmland or woodland they will sometimes venture into gardens especially in rural areas. 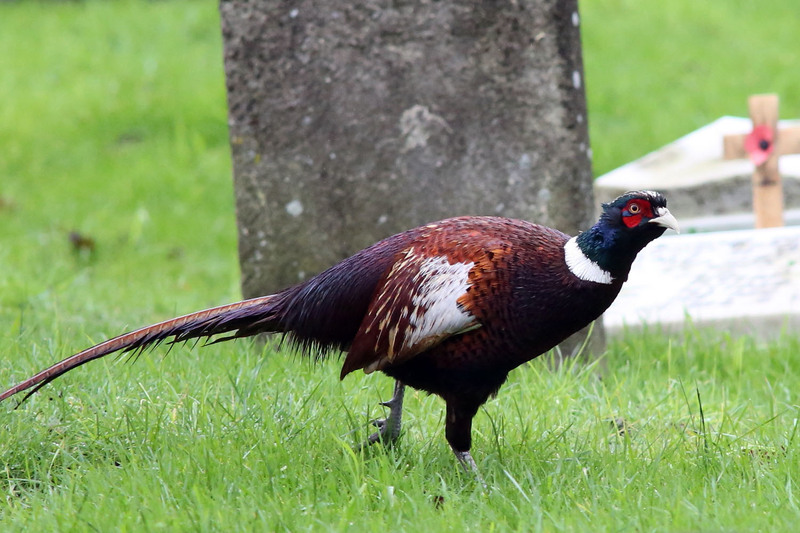 The male is the more colourful bird with the female much plainer. 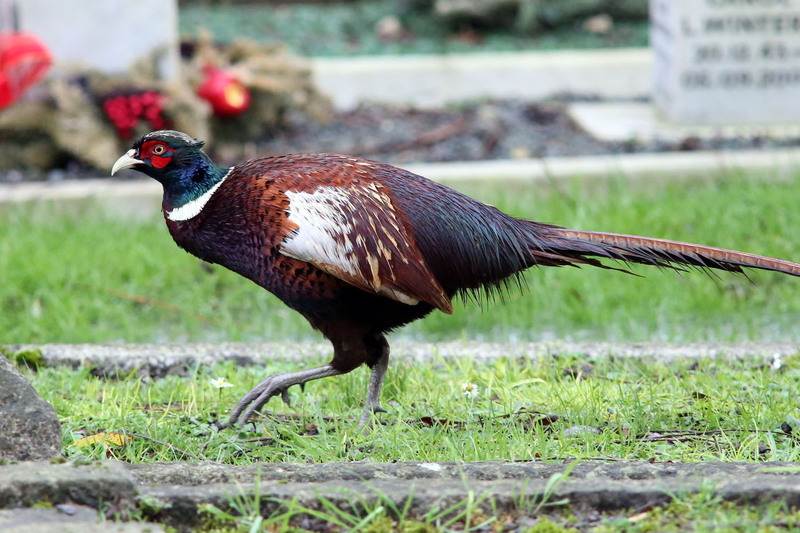 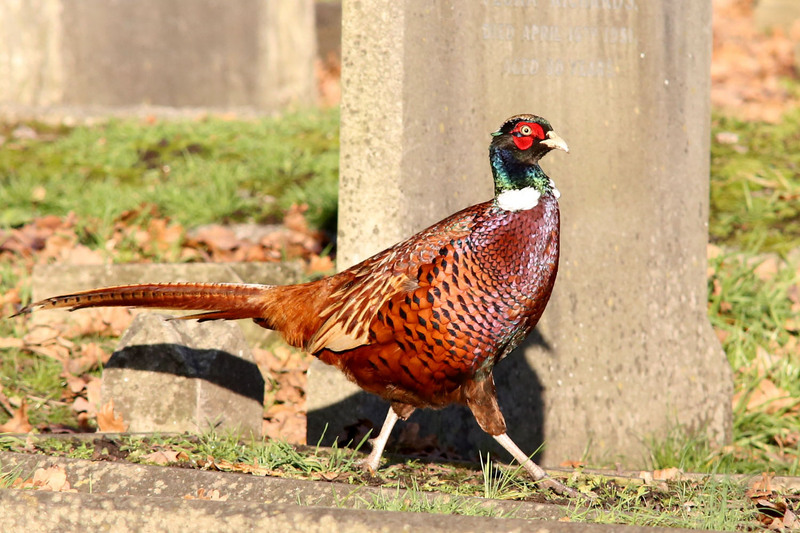 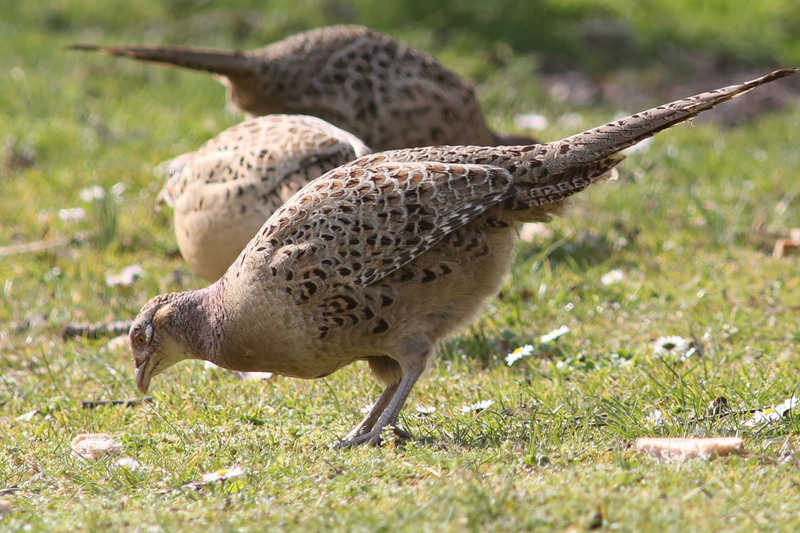 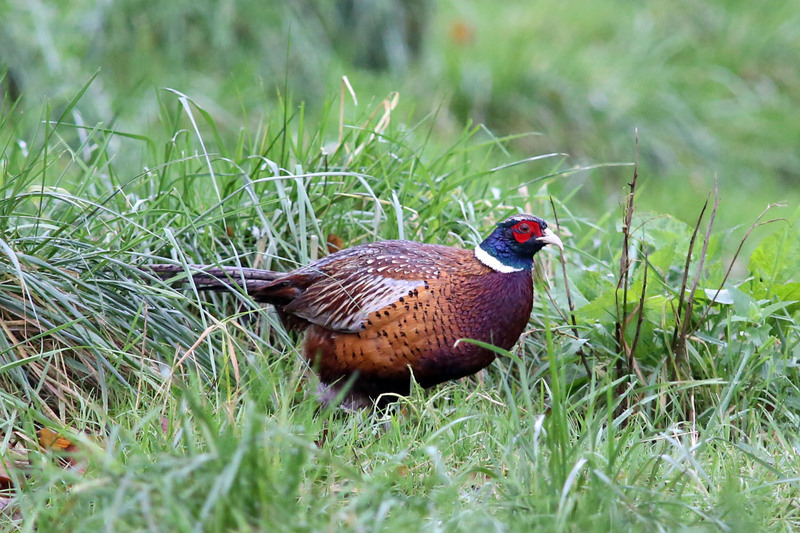 Pheasants picking up bread that has been left out for birds.